Since there are less exercise bikes that support above 300 pounds of weight than one would think, I’ve taken the liberty to review another one from this category, the pooboo Indoor Exercise Bike. The brand pooboo makes mainly exercise bikes and they are quite good at that. Over the years they have established a solid reputation are producing good quality indoor bikes to this day. 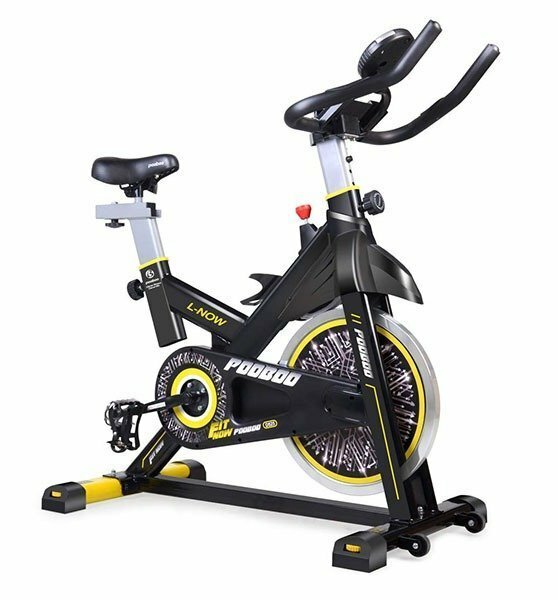 We will take a closer look at pooboo indoor exercise bike, its features, pros and cons and confirm who should and who should not use the bike. So let’s start with the features. The bike’s frame is made of 0.12” solid steel which supports 330 lbs. The bike is fully customizable to fit everyone’s needs, meaning that you can adjust the seat and the handlebars according to your preferences. It is a belt-driven bike with built-in intensity resistance with 25-lbs bidirectional flywheel. The resistance adjustment system can be continuously adjusted according to your needs. The built-in LCD monitor displays all the necessary data: time, speed, heart rate, hand pulse, distance and calories burned. The pedals are adjustable as well and the bike itself is easy to transport due to built-in small wheels at the front base. Also, in this pooboo indoor exercise bike version, the water bottle holder is pre-installed. The dimensions of the assembled bike are 43.8 * 21.6 * 48.1 inches (111.25 x 54.9 x 122.2 cm) and the weight is 75 pounds (34 kg). The pooboo indoor exercise bike’s frame is indeed, solid steel. I was quite surprised of its quality, to be honest. The max user weight of 330 pounds is definitely legit. The front transportation wheels do their job, so one person can easily transport it across the house, but I guess you won’t be doing that very often, right? The seat is a bit small, but really comfortable & of course, adjustable. It will fit most of you guys and gals. In any case, if you don’t find it fitting, you can simply get a different one. Thanks to the belt-driven system the bike is really quiet. You can easily watch TV and exercise at the same time. 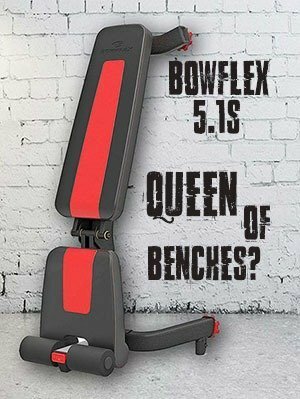 The continuously-adjustable resistance system does the job perfectly and is adjustable during the workout. Now the LCD display looks a bit cheap, but it has all the mandatory functions that you can possibly want. Some customers mentioned that they got EU model, where’s the only difference is that the distance is in kilometers, rather than miles, but this can be checked with the manufacturer before ordering. The handlebars have their own elbow support in case you wish to switch positions. The foam-roller that covers them is comfortable on hands as well. Well, I guess that’s all there’s to it. So far, pooboo indoor exercise bike is looking pretty good. Would I recommend this bike? I absolutely would. There is not much to add. Before ordering, check if the US version is available (if you prefer that one) and also check the dimensions, if it fits in your place. Besides the fact that the display looks a bit cheap, I could not find any other con. Pooboo indoor exercise bike is definitely worth every buck.